Roman Stanisław Ingarden was the son of Roman Witold Ingarden (Kraków 1893- Kraków 1970). Roman Witold Ingarden studied philosophy and mathematics in Lvov and Göttingen, and received a doctorate in 1918 with Edmund Husserl as his advisor. He married Maria Pol (1889-1978), a school doctor, on 1 July 1919. When Roman Stanisław, the eldest of his parents' three sons, was born his father was a secondary school teacher. He taught mathematics and philosophy at secondary schools in Lublin, Warsaw and Toruń between 1918 and 1924; the other children in the family were born during that period, Jerzego Kazimierz (born 1921) who became an architect, and Janusz Stefan (born 1923) who served as a pilot with the RAF during World War II and suffered damage which led to his death in 1949. In 1924 Roman Witold habilitated at the University of Lwów (now Lviv in Ukraine) and it was in Lviv that his son Roman Stanisław was educated. He entered the Third National Gymnasium in Lviv in 1930 where he was taught mathematics by Juliusz Pawel Schauder. Although he had begun teaching at the University of Lviv in 1928, Schauder had continued with his position as a secondary school teacher which greatly benefitted the young Ingarden. In this period he met - both as a student and on private grounds at his parents' house - the elite of Polish mathematicians, physicists and philosophers, including Stefan Banach, Hugo Steinhaus, Juliusz Schauder, Stanisław Saks, Wojciech Rubinowicz, Kazimierz Ajdukiewicz and Leon Chwistek. Probably at that time he developed his broad intellectual interests, exceeding his future profession of a theoretical physicist, and including linguistics, epistemology, logic, history of science as well as biology, biophysics and informatics, to name just a few. At the Jan Kazimierz University he was taught mathematics by Stefan Banach, Hugo Steinhaus and Juliusz Schauder while his physics lecturers included Stanisław Loria (1883-1958) and Wojciech Sylwester Piotr Rubinowicz (1889-1974). Loria worked on the physiology of vision and had been appointed to the chair of theoretical physics at the Jan Kazimierz University in 1917. Rubinowicz was an expert in quantum mechanics who had taught at the Polytechnic Institute in Lviv from 1922 but he also taught at the Jan Kazimierz University from 1937. Ingarden was only one year into his university studies when World War II began. On 1 September 1939 Germany invaded Poland from the west and then, on 17 September, the Soviets invaded from the east. On 6 October Poland surrendered and Germany and the Soviet Union divided the country between them. Lviv was in the region occupied by the Soviets who, on 8 January 1940, changed the name of the Jan Kazimierz University to the Ivan Franko Lviv State University. The rector had been dismissed and a Ukrainian installed to transform the university into the Ukrainian National University. Education at the university continued but slowly the Polish staff were dismissed and replaced by Russians and Ukrainians. Ingarden continued his studies for a while but soon things changed again for, on 22 June 1941, Germany invaded the Soviet Union. By July 1941, Lviv was under German occupation and the university was closed after the massacre of around 25 Polish professors. An underground Polish university operated in Lviv and Ingarden attended lectures there as well as working at the Jan Bujak optical factory in Lviv. In 1944 he began working at the Optical-Mechanical Factory in Lviv. The city was captured by the Soviet forces in July 1944 and Poles were encouraged to emigrate to Poland, sometimes after being arrested and forced to agree to leave. Lviv was not returned to Poland but, in August 1945, became part of the Soviet Union. Ingarden left Lviv and went to Gliwice in Poland where the Polish professors from Lviv Polytechnic who had been forced to leave Lviv, founded the Silesian University of Technology. Ingarden was appointed as an assistant in the Department of Physics in 1944 but, in addition, he was able to continue his studies at the Jagiellonian University in Kracow. There he was taught by Jan Weyssenhoff (1889-1967) who had been appointed to the chair of Theoretical Physics in 1935 and by the experimental physicist Konstanty Zakrzewski (1876-1948). ... concerned geometrical optics with a pioneering application of differential geometry methods, in particular those of Finsler geometry. ... considers a five-dimensional Riemannian space described by means of a coordinate system subject to certain conditions. The gravitational equations of the general relativity theory involving the energy-momentum density tensor of matter are generalized to five dimensions. Ingarden regarded information as a fundamental physical notion which should appear in physical theories in an axiomatic manner. Originally, he mainly had optics in mind, but later on in his papers information theory appeared also in the context of statistical physics, thermodynamics and quantum mechanics. In 1961, together with K Urbanik, he published a paper on mathematical equivalence of the notions of probability and information, thus showing that information can well be a starting point for statistical theories. The research conducted by his Toruń group resulted in a number of important papers on the aforementioned applications of Finsler geometry in statistical physics, the dynamics of open quantum systems and the geometry of quantum state spaces, quantum generalisations of entropy, among others. 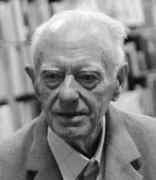 In 1970 Ingarden founded the journal Reports on Mathematical Physics. He became the first editor-in-chief of the journal and among his greatest achievement is the paper Quantum information theory which he published in that journal in 1975. He shows in the paper that Claude Shannon's information theory does not generalise in a natural way to the case of quantum information. Then, in the paper, he developed a quantum information theory, being one of the first people to do so. He published a number of textbooks aimed at students at Polish universities as well as monographs (we give English titles to these Polish books): (with Andrzej Jamiolkowski) Classical Electrodynamics (1979); (with Andrzej Jamiolkowski) Classical Mechanics (1980); (with Lech Górniewicz) Mathematical analysis for physicists (1981); (with Marian Grabowski) Quantum mechanics: in a Hilbert space setting (1989); (with Andrzej Jamiolkowski) Statistical physics and thermodynamics (1990); and (with Lech Górniewicz) Algebra and Geometry for physicists (1993). I met Professor Ingarden nearly 30 years ago in Tokyo. He was invited by Professor Umegaki to give a talk on quantum information at the Tokyo Institute of Technology. At that time Professor Ingarden was the leading researcher in the fields of quantum information and Finsler geometry. I was working on mathematical physics in terms of operator algebras, specifically on quantum irreversible dynamics and quantum entropy. Professor Ingarden gave me a preprint of his book on quantum information and I learned a lot both from his talk and from his book. In particular, I was strongly impressed, even still today, by his idea that the theory of quantum information and quantum probability should be formulated in an infinite-dimensional Hilbert space setting ... Therefore in the 1980's I tried to formulate quantum information theory and communication processes within a C*-algebraic framework. Since then Professor Ingarden visited Tokyo University of Science several times and we had the opportunity to discuss problems of mutual scientific interest. ... It should be mentioned that Professor Ingarden has very broad scientific interests beyond physics itself, including psychology, biology and even philosophy. Such a broad knowledge helped him in laying the fundamentals of new fields, such as the axiomatic formulation of entropy, namely, entropy without probability, quantum information, multi-temperature thermodynamics and the theory of shape to name just a few. Under the leadership of Professor Ingarden, many outstanding researchers, specializing in mathematical physics and quantum information started their careers in Toruń. Professor Ingarden and I collaborated to launch a new journal on mathematical physics and quantum information, which is named 'Open System and Information Dynamics' and it is now highly recognised among mathematical periodicals. Ingarden was honoured with the award of an honorary doctorate from the Nicolaus Copernicus University of Toruń in 1995. He received the Polonia Restituta, the second highest honour awarded by the Polish State, and the Medal of the National Education Commission by the Ministry of Education. He was also awarded the Order of the Sacred Treasure by Emperor Akihito of Japan in 2002. His son, Krzysztof Ingarden, was born in Wrocław in 1957 and studied at Kraków and also in Japan. He became an architect.